Tillage. 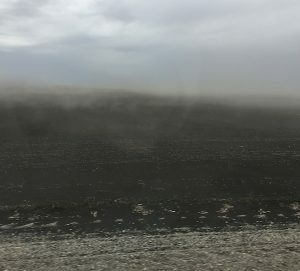 If the purpose of tillage is to dry out fields and break down residue, tillage will likely do more harm than good after a drier than normal season. Some residue is important for capturing winter snow that will somewhat increase soil moisture levels next spring. Unnecessary tillage also adds costs (fuel, time, wear and tear) and can spread clubroot spores and many other pests and pathogens. See the excellent graphic illustration in this Canola Watch quiz. Herbicide carryover. Group-2 carryover damage to canola was fairly frequent in 2018 and will prompt farmers and agronomists to take stock of risks heading into 2019. Farmers may want to review which fields received Group-2 herbicide applications this year as they plan rotations for next year. If farmers had Group-2 carryover damage this year, a review of why it happened will also help with planning and prevention. These experiences will also influence fall weed management product decisions. What causes herbicide carryover damage? Fall fertilizer. The best soils for fall banding are well drained and tend to be on the drier side. On dry soils, there may be little difference in efficiency between fall and spring applied nitrogen. However, if soils are too dry, fertilizer bands do not close properly. Read John Heard’s tips for fall fertilizer application in dry soils. His rule: If you are applying N and can still smell the ammonia from the last round you made, it is likely you are not getting adequate soil closure around the band.